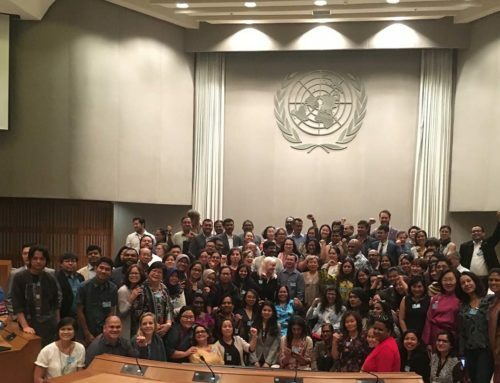 More than 100 civil society organisations (CSOs) participated in the 3-day 5th Asia Pacific Forum on Sustainable Development (APFSD) themed ‘Transformation towards sustainable and resilient societies’ held in consultation with governments and UNESCAP. The CSOs gathered at the event under the umbrella of Asia Pacific Regional CSO Mechanism (AP-RCEM), a platform for CSOs to engage with United Nations in this region. The CSOs emphasised that for sustainable development to be achieved, the burden needed to be shifted from communities to be resilient, to addressing the systemic issues like neoliberal and extractive model of development and unjust trade and investment agreements. 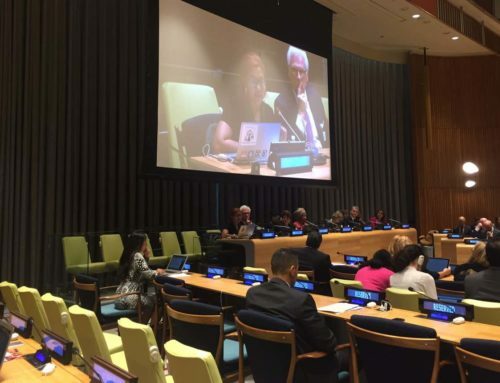 Devi Anggraini, Chairperson of PEREMPUAN AMAN, Indonesia representing Indigenous Peoples constituency said, “While indigenous cultures should be upheld in partnerships for Sustainable Development Goals, what is of prime importance is the protection of our collective territorial rights, our rights to self determination and free, prior and informed consent (FPIC). If our fundamental human rights are not ensured, public private partnerships will do the opposite and evict us from our territories for corporate profit. Clear mechanisms should be established to ensure the accountability of corporate bodies and financial institutions”. 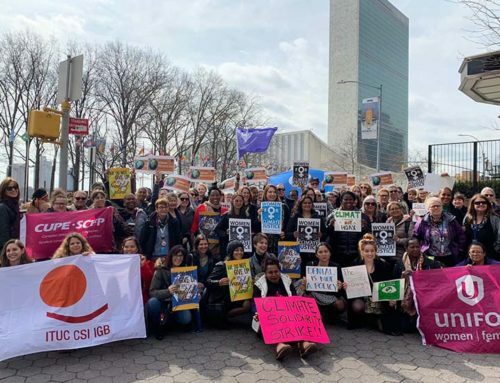 Civil society organisations stressed that any development that takes away peoples’ land and resources and favours corporate rights over human rights needed to be re-examined. “We know that it would take a courage for governments to shift from the dominant model of partnership, which is heavily reliant on large corporations and business sectors, to an accountable public-public partnership model. However we know genuine partnership can exist and work when we share objectives and vision. 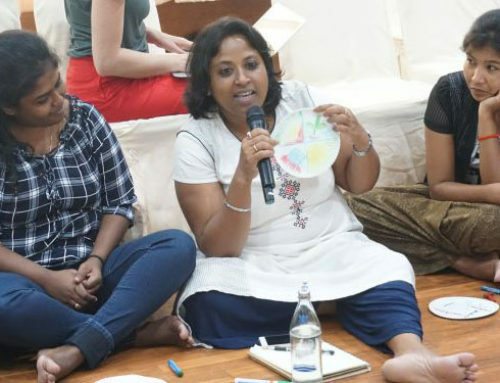 Partners that come in to make money, to exploit resources, and to gain power can not be at the heart of the partnership,” said Helen Hakena, Co-Founder, Leitana Nehan Women’s Development Agency, Papua New Guinea and representing Women’s Constituency. “Sustainable societies can only happen if we move away from partnership with exploitative corporations. We are happy that APFSD outcome reflected social entrepreneurship as an innovative and transformational platform to address poverty and build resilience. We look forward to co-creating Social Entrepreneurship Multistakeholder Partnership Platforms that would support the scaling up or social enterprises as transformational partners of the poor communities”, said Dr. Marie Lisa Dacanay, President, ISEA, Philippines and representing Social and Community Enterprise Constituency. 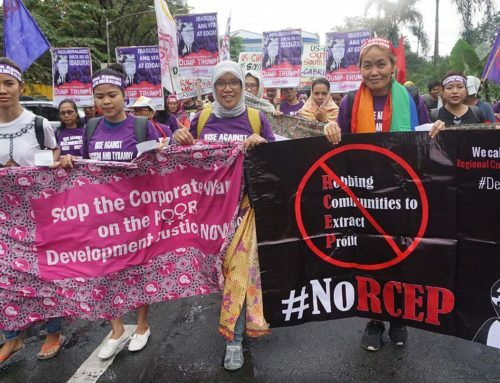 Consultations from 220 civil society organisations that attended the Peoples Forum on Sustainable Development from 25th-27th March at Chulalongkorn University were reflected in AP-RCEM’s key demands for sustainable development for the Asia Pacific region. The CSOs expressed happiness that the outcome recognises that steps like regional tax body to tackle tax incentives and illicit financial flow, highlighting of the risk of Investor State Dispute Settlement (ISDS) to realisation of human rights, along SDGs compatibility impact assessment of trade and investment agreement were taken up by the governments. Civil society strongly believes that the regional roadmap as a living document of our governments can see further discussions to ensure that it works for communities and governments and emphasizes equally the social, economic and political pillars of the roadmap so that women’s rights, indigenous peoples rights, decent work and collective bargaining are concretely mapped out to achieve development justice.